Win awesome gadgets and play for daily Bonus Spins! 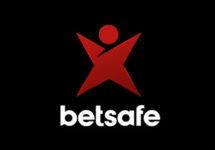 The start of summer at Betsafe will be very special this year with two campaigns that will see tons of Bonus Spins, the latest tech gadgets and bonus prizes going to the most lucky players. First, they can complete a daily mission to collect 40 Bonus Spins on Starburst and at the same time they can race against their fellow spinners in a 4-day tournament to win tech gadgets or bonus prizes. Ready for summer? Then take up to Summer Challenge at Betsafe to earn daily Bonus Spins on Starburst and win awesome tech gadgets or bonus prizes. Simply wager on a selection of games to earn the Bonus Spins as Mission reward. Plus, all players will score points towards the leader board in a 4-day race to find the TOP10 spinners. Complete a mission on selected games and earn instantly 40 Bonus Spins at £0.10 on Starburst, every day until 17th June 2018. The Mission is to wager cumulatively minimum £50 on Dragon’s Luck, Laser Fruit, Mystery Reels, Starburst and/ or Coins of Egypt™. Wagering requirement is 35x FS winnings within three days, subject to the Betsafe bonus terms and conditions. Players registered or residing in Canada, Ecuador, Nicaragua and Panama are not eligible for Bonus Spins. Earn points towards the leader board while playing Dragon’s Luck, Laser Fruit, Mystery Reels, Starburst and / or Coins of Egypt™. Receive 1 point for every £10 wagered and 2 points for every big win (15x stake) on any of the selected games. The leader board will be updated once a day between Monday and Friday before 18:00 GMT. The TOP10 scoring players by midnight on 17th June will win a prize: 1st – LG 49” Smart 4K TV | 2nd – GoPro HERO5 Black | 3rd – Beats by Dr.Dre Studio3 Wireless Headphones | 4th to 5th – £200 bonus | 6th to 8th – £100 bonus | 9th – 10th – £50 bonus. Winner of the gadgets will be notified within 24 hours, a cash alternative is not available. 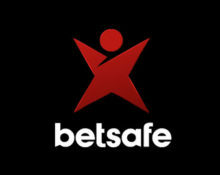 The bonus prizes will be credited by 18:00 CET on 18th June 2018 and carry a wagering requirement of 2x bonus amount within seven days, subject to the Betsafe bonus terms and conditions.